Poverty Solutions is a multidisciplinary initiative to inform, seek out, and test new strategies for preventing and alleviating poverty. It captures the public ethos that attracted many of our students, faculty and staff to the University of Michigan, while bringing together deep expertise across academic fields from public policy to engineering and social work to business. The U-M has a long legacy in the study of poverty and of the effect of policy on its causes. Poverty Solutions at the University of Michigan takes the next step, turning knowledge into action within community by informing and testing innovative solutions for the prevention and alleviation of poverty. Poverty Solutions seeks to leverage the immense intellectual assets and academic scope of the university to make a major impact on the lives of millions of Americans. 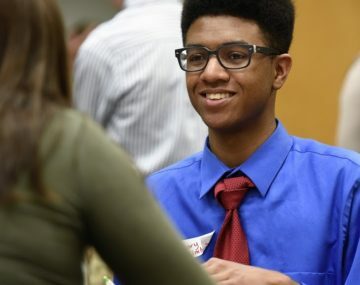 Poverty Solutions includes faculty from many schools and colleges, builds upon our strong community partnerships, connects directly with government and social service agencies, and provides new engaged learning opportunities for our students.